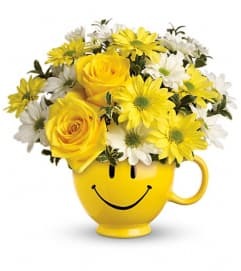 Teleflora's Three Cheers for You! 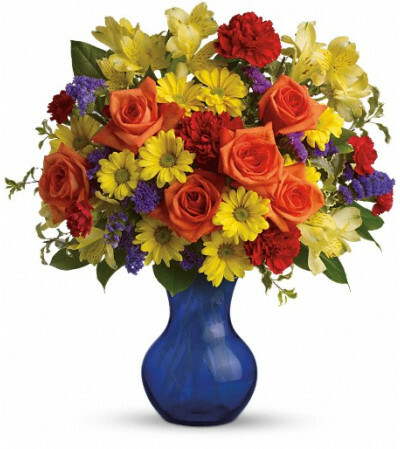 Three cheers for the season's happiest flowers in a rich cobalt blue vase! 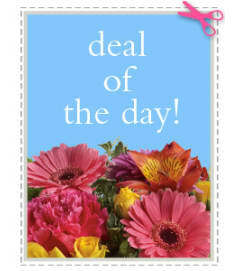 Beautifully arranged and beautifully priced, this delightful bouquet makes a brilliant birthday gift. It's also a great way to say "I'm thinking of you." 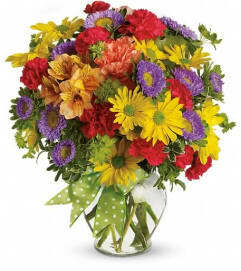 The bright bouquet includes orange roses, yellow alstroemeria, red carnations and miniature carnations, yellow daisy spray chrysanthemums and purple statice accented with assorted greenery.Delivered in a cobalt blue Serendipity vase.